Top of the league after a full season of rugby league football. Game after game. Battle after battle. The crème of the crop. The ultimate test of consistency and endurance. One would believe that to be crowned the best team after a full season is quite the impressive achievement. Yet – we are often reminded, by fans and professionals alike, that “nobody cares”. After all, it was only recently that Wigan Warriors fullback Sam Tomkins honestly admitted he never valued the League Leaders Shield. The fact that what should be the most prestigious accomplishment, is instead regarded as the lowest – is certainly curious. You only need to look around at other sports to see that the champions are the ones who are the better team throughout the entire year. So the question is, why does the same not apply to rugby league? 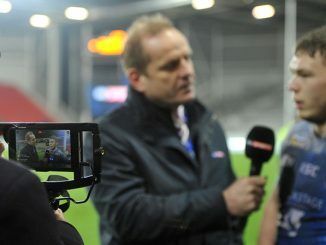 Simply put; it’s because of our play-off system and what is seen as the ultimate prize – the Grand Final. 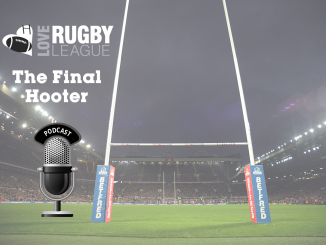 This often exciting series of finals fixtures, which allow for any team to earn their shot at the ‘ultimate prize’, ultimately devalues and waters down the importance of the league leaders shield. Now, suggesting that we should scrap the play-offs is, I believe, a mistake. In fact, it is here that some of the best rugby league can be found. You only need to look as far as the qualifier play-off system at the opposite end of the table to see the excitement that can be generated (albeit, slight difference their allows for all teams to have a true equal footing). If that example fails to help then turn your attention down under to the NRL and just look at the ‘finals footy’ produced – it really is a sight to behold. After all, even here in Super League, there is something quite special about the prospect any team in the play offs (at least technically) can have a final shot at glory. 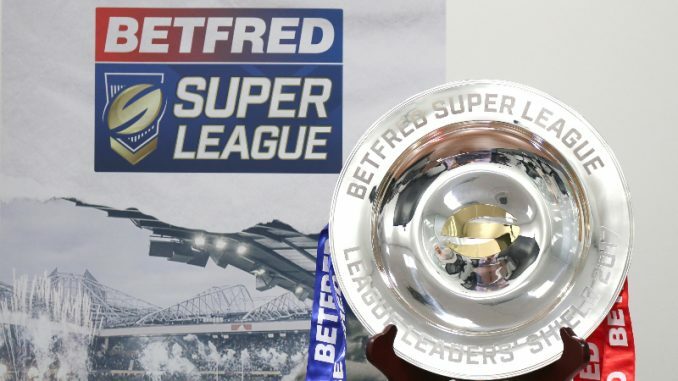 So what do we do about the League Leaders Shield? Something has to be done, surely? Maybe it is time to revamp, renovate and reimagine. Such a process can be started by a trophy redesign. Scrap the shiny plate and replace it with a brand new, impressive silverware. Something that generates pride when a club sees its colours hanging from the handles. This simple change will allow fans to have pride in their team holding it aloft at the end of the regular season. 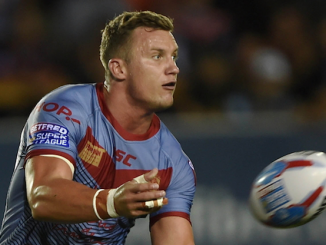 This also doesn’t require vast alterations to the league structure or system – something that giving the incredibly long negotiations between Super League Chief Robert Elstone and the RFL on next year’s league structure, is desirable. Next, I would increase the prize money. I’m sure there are complicated financial logistics behind the awards but even if you take some away from the grand final trophy – surely it would be worth it in the long run? It is when I express these ideas that many say the only way to value the league leaders, is to scrap the Grand Final. To them I respond, why can’t we have both? 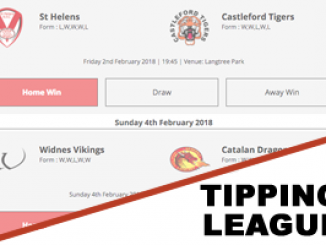 There’s one thing I believe hurts Rugby League and that’s the lack of things to win. In any sport, the entire goal is to win trophies and titles. Yet in our game we only have 3 trophies – 1 of which is incredibly devalued. Why can’t we relish in the fact multiple teams can achieve glory? Personally I think we should have more titles to win. Just look at football in England. We have the Premier League, Champions League, Europa League, FA Cup, Carabao Cup and Community Shield. The more there is to win, the better the sport will be for it – as teams will live in realistic hope they can achieve something. The fans will also have more of a reason to pay interest and turn up. I just think the longer we treat the League Leaders Shield as nothing, the more it will be just that. Yes fundamental steps must be taken to change the clubs desire and priories towards the title but it must also come from us, the lovers of the game. As soon as we celebrate and not berate the accomplishment, the more investors or even clubs themselves will rate the trophy. A change in mentality is required here, from all of us – professionals and fans alike. It is why I was so refreshed and genuinely pleased to see Castleford Tigers celebrate the shield last year the way they did. A full stadium, fireworks and a presentation – it was truly wonderful to see. 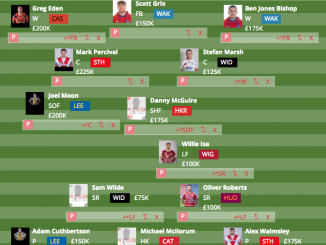 This season St Helens have been outstanding and over the year have stood out as the best. If (but more probably, when) they win the League Leaders Shield, I truly hope they as a club and their fans, celebrate the silverware in the way it deserves. I understand the Grand Final that lurks around the corner takes many eyes away from it – but just ask yourself, what is wrong with having both?